There is good news for environmentalists. Thanks to a court decision an Obama-era rule to prevent methane waste by the oil and gas industry now goes into effect. The U.S. District Court for the Northern District of California ruled that the Trump administration acted unlawfully when it suspended rules enacted by the Obama administration the oil and gas industry to restrict methane emissions. When the Interior Department delayed key provisions of a methane rule, it misused a provision of the Administrative Procedure Act. The decision by the District Court means that the methane rule will now take effect. A coalition of a coalition of seventeen conservation and tribal citizens groups sued along with California and New Mexico over the delay. “The court victory is a huge victory. This is now the third strike against attempts to undo this rule, Jon Goldstein, a senior policy adviser for the Environmental Defense Fund, said to the Casper Star Tribune. The court’s decision came on the same day that the Bureau of Land Management announced it suspended the methane rule until January 17, 2019. Interior Secretary Ryan Zinke ordered the BLM to review the rule. 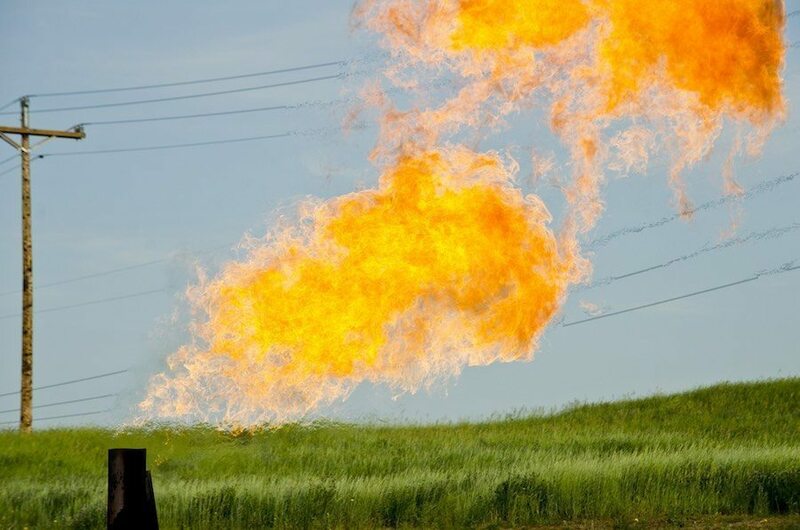 The methane rule prevents oil and gas companies from flaring, leaking or venting methane gas rather than use it for energy. Taxpayers would lose up to $800 million in royalty revenue over the next decade with the rule suspended, according to a report by the Western Values Project. Methane is often found while drilling for oil. Under the waste prevention rule, oil and gas companies would be required to capture methane, use it for energy and pay royalties on it. Back in May, the Senate voted against a resolution to suspend the rule. Methane is emitted daily across the oil and gas supply chain in the U.S. Every year, over eight metric tons a year is emitted of the greenhouse gas with a warming potential 23 times that of carbon dioxide. That amount of methane has the same climate impact over a 20-year period as 200 coal-fired power plants. It is also enough natural gas to heat more than five million homes. Indeed, the giveaways to the oil and gas industry are routine for the Trump administration. And lawsuits by states and conservation groups against those giveaways are starting to be routine.